We carefully designed our store down to the last detail to help you discover better sleep in total comfort and luxury. Shopping for a new bed has never been easier or convenient. Our non-commissioned Sleep Advisors are on hand to configure your personalized sleep system. 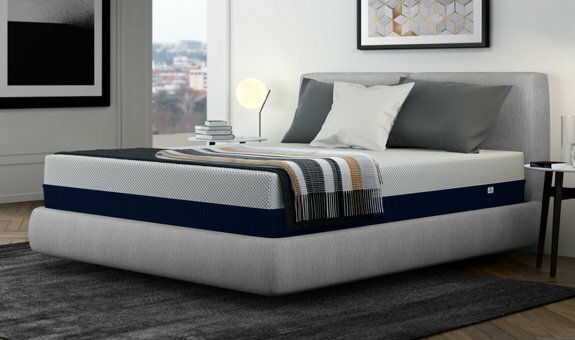 Using their in-depth training on the dynamics of sleep, they will guide you to the perfect choice of mattress and accessories. We'll deliver your new mattress to your home for free in under a week, using FedEx and eco-friendly packaging. This reduces emissions compared to freight shipping and give you peace of mind about transportation. We're so certain you'll experience better sleep, we'll even give you up to 100 nights to try your mattress at home, risk-free. If you're not completely satisfied, return it for a full refund. You'll receive an email shortly with your exlucsive deals.